My customers often tell me fishing behind the shrimp boats is like fishing in your own aquarium. The water is normally crystal clear and fish boil around the boat. 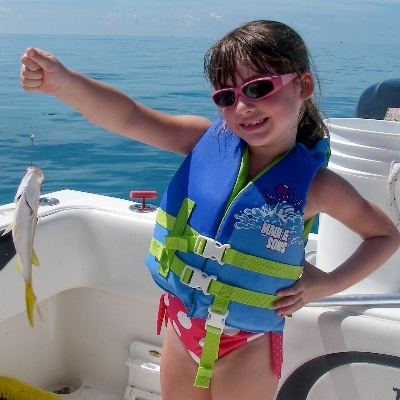 The best of the shrimp boat fishing is normally about 25 to 65 miles out from Key West so you have to pick your days. But when it is the right time of year and the weather is right I can't wait to go. 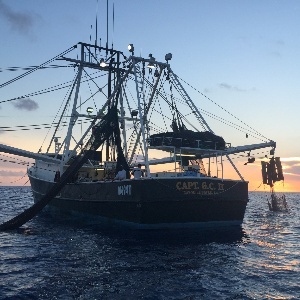 A typical shrimp boat fishing trip starts early in the morning because we have to run out there and meet the shrimp boats on the grounds before they dump all their bycatch for the morning. You see in the keys the shrimp boats drag nets all night long and then sleep during the day. While dragging nets the shrimp boats not only catch shrimp but all kinds of other fish called bycatch. Normally they just sort out the shrimp and dump the rest overboard. The fish aren't dumb they follow the sound of the shrimp boats for a free meal and just wait for them to dump the bycatch. Well what we do is show up at the grounds between 6 and 7 am when they are getting ready to dump their bycatch and we become the food source. It is amazing to watch a five hundred fish boil next to the boat. The water just comes alive with boils as we throw the shrimp trash in the water, everything from bonitas, blackfin tuna, sharks, cobias and mackerel. Don't forget all the fish on the bottom sitting down there waiting fro their free morsel to drop from the surface, mutton snappers, groupers and all kinds of bottom fish. To catch the tunas often you don't even put the bait in the water you hold it out above the water and make them jump for it, like a puppy jumping for a treat. 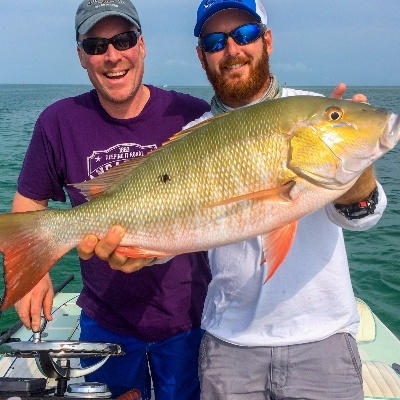 It is probably the best fly fishing opportunity in the entire keys and that is saying something. I had a trip out to the shrimp boats where my anglers caught 200 fish on fly in one day, everything from barracudas to blackfin tuna, sharks, cobia, amberjack, bonitas and even permit. It is one of my favorite fisheries and customers are often so dumb founded they just sit and feed the fish after they are too tired to catch any more. It's a long run but it is a lot of fun. As light dims and the suns sets fish come out to feed. 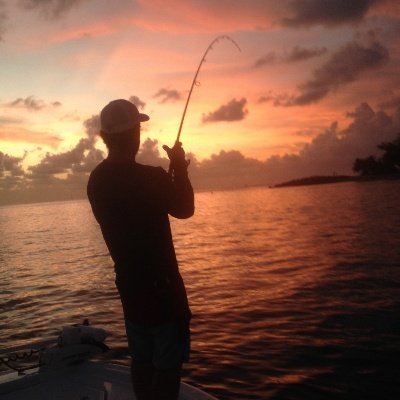 The tarpon fishing in the harbor of Key West is already legendary but to watch a sunset as the the Silver King jumps in the air on the end of your line is burned into your memory forever. Harbor fishing is a very hands on fishery for tarpon. You free line back a bait in the current and when he picks it up you begin to wind. Remember we are using circle hooks so don't set the hook. As soon as the line starts to scream out you lift your rod tip and begin to pump and wind the fish in. Normally to make the fight a little easier we drop anchor and chase the fish. They aren't edible so we don't kill them but we will bring them up close enough for some great pictures. Shark fishing at sunset you can just hear the music from Jaws, dunt dunt dunt dunt. Shark are a blast to catch and the action shark fishing often is one right after another. It normally take s a little while (15 mins) for them to find the chum but as soon as they do they stack up around the boat and it is one shot after another. Most common sharks are lemons, bulls, black tips, hammer heads and so many more. They range is size from 20 lbs to 600 lbs and even bigger. Shark fishing is again a catch and release fishery. There is no reason to kill them most are no good to eat. So come enjoy the sunsets peace and tranquility only to be disturbed by the reel screaming line with another fish on. The Gulf of Mexico is littered with ship wrecks from all different eras. There are World War II wrecks to shrimp boats to every kind of sea going vessel you can imagine. Being that the gulf has a fairly flat bottom, the fish are attracted to structure for protection. The truly unique thing that happens around structure on the bottom is the food chain that lives on the wreck. The smallest of baits live in round the wreck to provide themselves with structure to hide in. A natural food chain occurs because where you have small baits you have larger and larger fish to eat them. 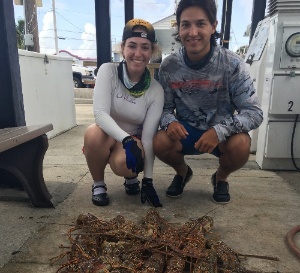 The different gulf wrecks hold different fish at different times of year but you can always expect to find grouper, snapper, barracuda, sharks, goliath groupers, permit, king mackerel and many more. The typical style of fishing is to anchor up current of the wreck and start chumming to draw the fish away from the structure. Once you draw them away a little you can drop down a bottom rod and as soon as it hits the bottom you have a bite. Many times the cobia will follow a shark up and you can catch one after another, switching from spinning to conventional tackle. Bottom fishing is great for novice anglers and kids because the bites come often and constant, if you lose one you'll get another shot.